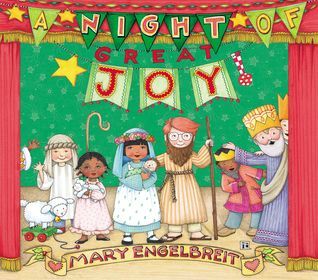 Mary Engelbreit has such wonderful books. This one is a re telling of Jesus' birth which I didn't realize but it is just adorable. It is essentially illustrated as being a children's play of "A Night of Great Joy" which has the cutest pictures. Her illustrations really are what make the book so if you enjoy fun pictures, this is a book for you. Great to add to your Christmas collection. Thanks to BookLook for the gift of this book.